2010 Gulf of Mexico hypoxic zone showing dissolved oxygen contours. Click on the map to go to the NOAA hypoxia watch page. SUMMIT COUNTY — The 2011 hypoxic dead zone zone in the Gulf of Mexico is predicted to be the largest ever recorded due to extreme flooding of the Mississippi River this spring, according to an annual forecast by a team of NOAA-supported scientists from the Louisiana Universities Marine Consortium, Louisiana State University and the University of Michigan. Along with replenishing soil in the river corridor, the massive flooding washes enormous amounts of nutrients to the sea. Seventy percent of nutrient loads that cause hypoxia are a result of agricultural runoff caused by rain washing fertilizer off of the land and into streams and rivers. Additionally, 12 million people live in urban areas that border the Mississippi, and these areas constantly discharge treated sewage into rivers. Scientists are predicting the dead zone could measure between 8,500 and 9,421 square miles, or an area about the size of New Hampshire. 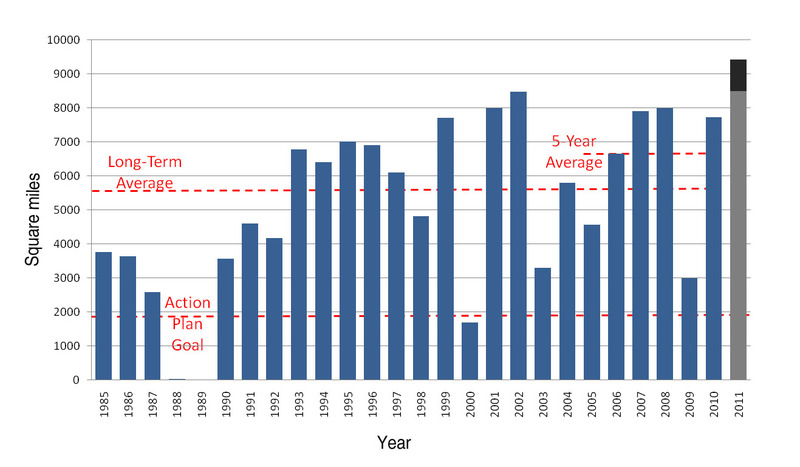 If it does reach those levels it will be the largest since mapping of the Gulf dead zone began in 1985. The largest hypoxic zone measured to date occurred in 2002 and encompassed more than 8,400 square miles. “While there is some uncertainty regarding the size, position and timing of this year’s hypoxic zone in the Gulf, the forecast models are in overall agreement that hypoxia will be larger than we have typically seen in recent years,” said Jane Lubchenco, Ph.D., under secretary of commerce for oceans and atmosphere and NOAA administrator. Long-term measured size of Gulf of Mexico hypoxic zone with 2011 forecast. Hypoxia is an environmental phenomenon where the concentration of dissolved oxygen in the water decreases to a level that can no longer support living aquatic organisms. Dead zones have become more common and long-lasting across the planet’s oceans since first being noted in the 1970s. The northern Gulf of Mexico near the mouth of the Mississippi River is currently the largest hypoxic zone currently affecting the United States, and the second largest worldwide. 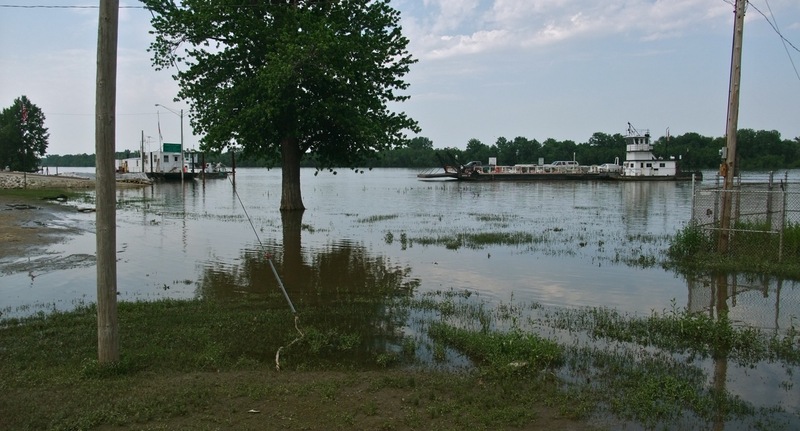 Flooding near the confluence of the Illinois and Mississippi rivers. The Gulf of Mexico dead zone is of particular concern because it threatens the $2.8 billion commercial and recreational Gulf fisheries. Catches of brown shrimp, one of the most commercially valuable species in the Gulf, has decreased since the late 1970s. Based on experiences in other coastal and marine systems, worsening hypoxic conditions could lead to a serious decline of ecologically and commercially important species. Researchers forecast that climate change and its associated rise in ocean temperatures will further increase the expansion of hypoxic zones in the world’s oceans. 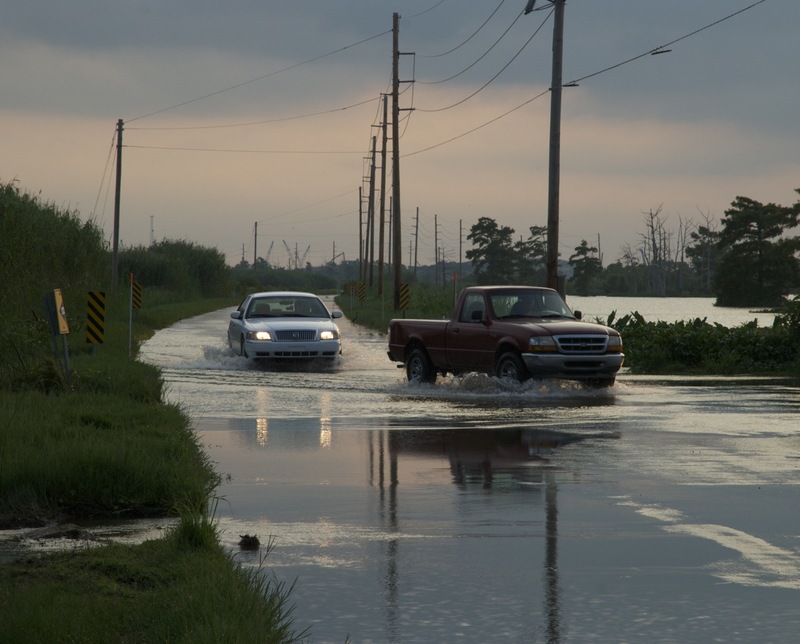 High water at the mouth of the Mississippi River, near Venice, Louisiana.